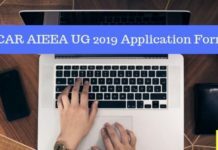 The candidates can check the ICAR AIEEA UG Result 2018 from this page. The re-examination for AIEEA UG 2018 was held on August 19, 2018. 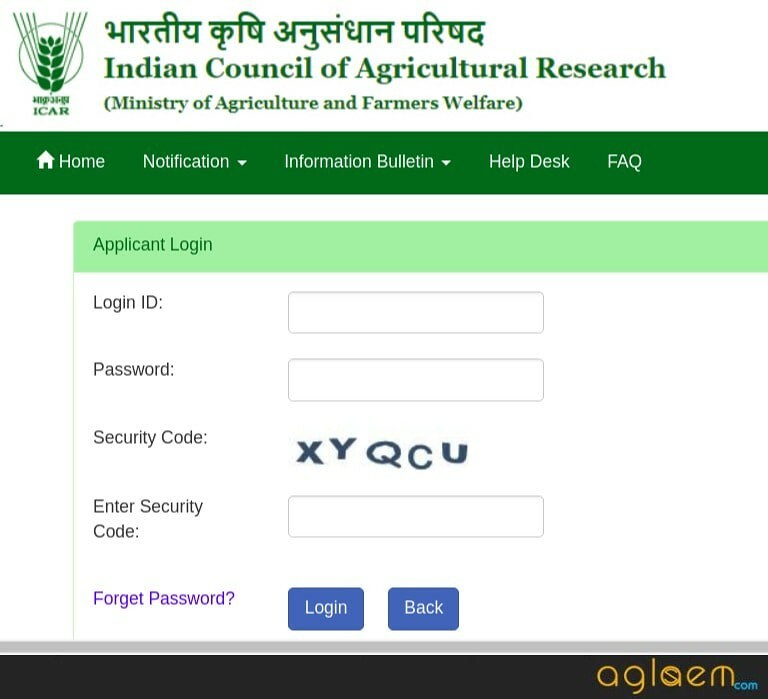 To check the ICAR 2018 Result, the candidates need to enter details such as Login ID and Password. The shortlisting of the candidates is done on the basis of their performance in the entrance examination. Qualified candidates will then be eligible to appear for Counselling. The candidates can also check their result online at icarexam.net. Only those who will obtain marks equal to or greater than the cut off marks will be declared as qualified and can appear for the counseling. 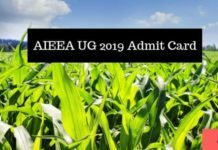 You will find more information on ICAR AIEEA UG 2018 Result from this page. 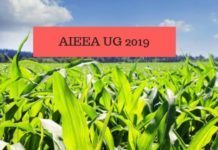 Latest: The result for ICAR AIIEA UG 2018 has been announced. Click on the direct link below to check it now. Also , the counselling schedule has been published online. The National Talent Scholarship would be available through the Agricultural University concerned, to every student admitted on ICAR seat at any Agricultural University in a state outside his/her domicile state, at the rate of Rs.2,000/- per month during the period of study. The candidates shall be awarded NTS only after completion of Online Counselling. ICAR AIEEA UG 2018 Result date: The candidates can check the complete schedule for the declaration of AIEEA UG 2018 Result from the table below. Result: Click Here to check your result for ICAR AIEEA UG 2018. How to Check ICAR AIEEA 2018 Result? In the Result login page, enter the required details like your roll number, name, registration number etc as required. Download and take print out of the result for future reference. After the declaration of ICAR AIEEA 2018 Result, ICAR will conduct an online counseling. It is mandatory for students to attend the online counselling round for admission with all the prescribed documents. The candidates cannot submit any request for re-evaluation/ re-checking shall be entertained. However, those who wish to inspect their own OMR Answer Sheet along with the answer key by submitting a request. The candidates have to write the request for such in their own handwriting and do a signature. It must be submitted within 10 days from the date of declaration of result. Along with it, you also need to submit a copy of the e-admit card, a copy of Application form and Demand Draft of Rs.500/- (Rupees five hundred only) drawn in favor of “Secretary, ICAR Education Division Revolving Fund” payable at New Delhi. Candidates with higher marks in the main subjects Mathematics (PCM) /Biology(PCB)/ Agriculture (ABC/PCA) in AIEEA-UG Examination. If there is a still tie, the age of the candidate will be taken into consideration. The candidate older in age will be rated higher in the merit. The candidates will be shortlisted for admission on the basis of marks obtained in ICAR AIEEA UG 2018 Re-examination. Only those who will secure marks equal to or greater than cut off will be declared as qualified and will be considered for admission in ICAR accredited subject or degree programme of choice in the accredited Agricultural Universities. Click Here to check the cut off for various UG programs. After the declaration of ICAR AIEEA 2018 Result, candidates who will clear the entrance examination will be called for online counselling. The candidates declared qualified for counselling for admission to the Agricultural Universities would generally be larger than the number of seats available, provided they have achieved a minimum of 50% marks for General and UPS categories and a minimum of 40% marks for SC/ST/PC categories in the AIEEA UG Entrance examination. For OBC, it will be as per Supreme Court directives in this regard. There is a possibility that the competent authority may relax the minimum qualifying marks in case if the required number of candidates to be called for counselling are not available. Candidates will have to register and pay the counselling fee through online mode (credit card/ debit card/ net banking). The candidates who will qualify in the entrance examination under different categories shall be permitted to make choice of Courses / University in the prescribed time period. Candidate will be able to select the courses and university in combination to select multiple choices for the courses. Candidates shall be provided with the option of add / modify/delete choices during the stipulated time period. Further, provision for interchange/ upward movement/ downward movement shall also be available. After completion of choice selection of courses/ universities, the candidate will save the choices. The candidates then can download the provisional allotment letter in PDF format from the ICAR admission portal. For admission, the successful candidates will have to report to the allotted University. After verifying the original documents of the candidates, the university will issue the final admission letter online to the candidates admitted, mentioning the award of NTS, as applicable. All the letters will be in pdf format. The same process will be followed for second and third rounds (if the need arises) of counselling. Any candidate who fails to provide the required document or fail to submit the counselling fee at the stipulated time, will result in cancellation of admission of such candidate. Aadhaar card or 28 digits Aadhaar Enrolment ID copy or in case of candidates from J&K, Assam & Meghalaya, a copy of passport /ration card /bank passbook or any other valid Govt. The identity card as applicable. SC, ST and a non-creamy layer of OBC categories have to provide original Certificate as per Central Govt. requirements and issued by Competent Authority. In case of Physically Challenged (PC) candidates have to provide a medical certificate issued by Medical Officer of any Government Hospital with a description of the kind and the degree of disability. Birth Certificate, in case, if Date of Birth is not mentioned in the Class 10th certificate. Counselling call/invitation letter from ICAR in original. Three recent coloured passport size photographs with name and date same as the one submitted on the application form. Authority letter/undertaking if the candidate is unable to attend the counselling personally. The ICAR reserved the following percentage of seats for the reserved category candidates. please arrange the exam centre in kerala for the keralite. last time it was so difficult as the centre of exam was far away from kerala. I AM DAYA RAJU My AP..NO . IS 1026618. I COULD NOT COMPLETE MY EDITNG. PLEASE HELP ME. Mera admit card gum gya to result kese dekuga? hey there you must have received a confirmation mail and in that mail, it contains the registration number and other details. When will result of ICAR will come? Hey Satyam, the result is expected to be out today. The time is not yet confirmed but you can keep checking this page for latest updates on this. WHEN WILL THE ICAR RESULTS WILL BE OUT? As per the schedule of ICAR AIEEA 2018, the result should be announced today. However, due to Kerala Hc stay on declaring the result, it shall not be announced today. But don’t worry we will update on all the latest news on ICAR Result. The result is expected to be out today. Keep visiting this page for latest updates. In my opinion icar should conduct re examination only for Kerala and the question paper should be equally though so that everyone gets a fair chance to qualify the examination.It would not be justified as well as sensible enough that the whole country suffers only for one state.Its my modest request to icar to take effective steps as soon as possible as we are all facing a lot of problems due to delay in declaration of results. In my opinion icar should conduct re examination only for Kerala. And the question paper should be equally though so that everyone gets a fair chance to qualify the examination. It would not be justified as well as sensible enough that the whole country suffers only for one state. Its my modest request to icar to take effective steps as soon as possible as we are all facing problems due to delay in declaration of results. Sir ,please do something for god sake otherwise I will got. Mad. Please reply. Me. Hey Deepak the result was likely to be released by 30th Aug but due to some internal issue, the result will be released in the late month. Sir, please do something. I’m waiting only for the ICAR result. I don’t have any other option rather than this. So please try to give our results as soon as possible. Please don’t ruin our future. 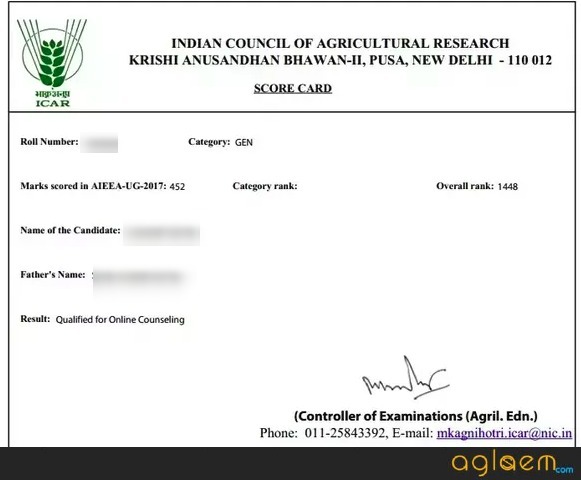 Sir I m from general category…I have scored 305 in reexam icar 2018 and my rank is 3749….is their any chance of getting good clg? i am not getting score card please help me. Sir, I got 105 marks. My rank is 27888. Can I got afmisson in collage of my choice. Please help me . I am in great tension.I just want govt. Colleague if possible. Sir, my sc rank is 3326. Can i get any govt college??? hey there you need to wait for the cutoff marks. Sir, which day the next allotment? If there is any 3rd allotment or not?